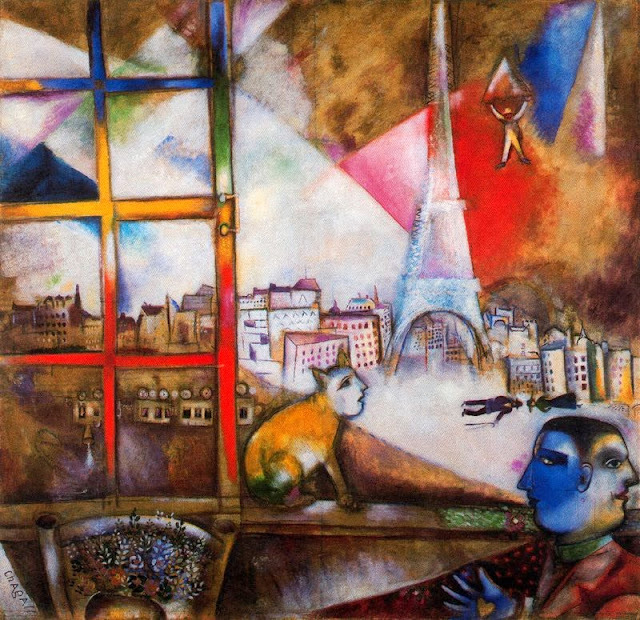 This is Da-da's favorite Chagall, "Paris Through the Window" (1913). That's the poet, Apollinaire, at bottom right -- and Chagall himself as the cat. Actually Da-Da I love Chagall too an I'm always surprised when people like my glorious art teacher of yore don't.